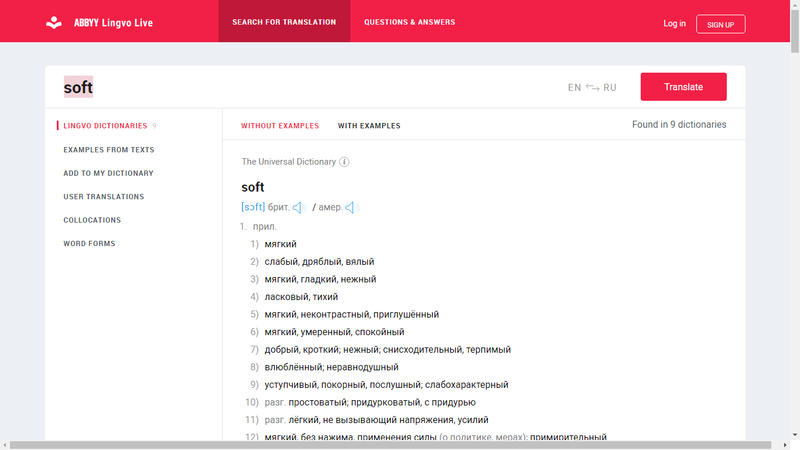 ABBYY Lingvo Live is a free online dictionary, which provided by Russian software company ABBYY on the base of its ABBYY Lingvo dictionary software. Supports two dozen languages. 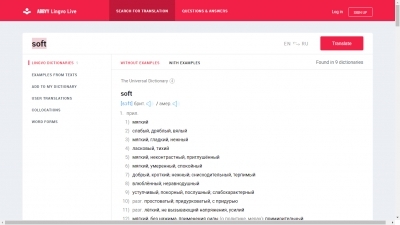 Allows to translate separate words and phrases.